Port Hutt, Chatham Island, New Zealand. 02 Feb 2006. Svenja Heesch. © Svenja Heesch (svenja.heesch@nuigalway.ie). Lorne. 25 May 2011. John Huisman. © John Huisman (j.huisman@murdoch.edu.au). 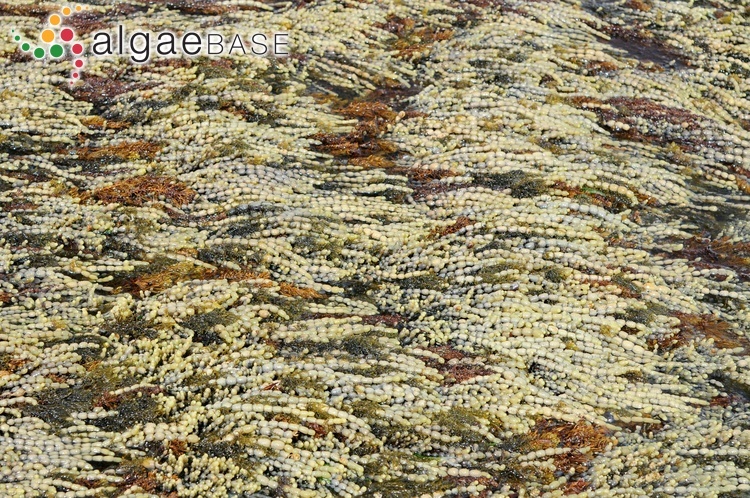 Kangaroo Island, South AustraliaKangaroo Island, South Australia. 20 Oct 2009. M.D. Guiry. © M.D. Guiry (mike.guiry@nuigalway.ie). Kangaroo Island, South Australia. 20 Oct 2009. M.D. Guiry. © M.D. Guiry (mike.guiry@nuigalway.ie). The type species (holotype) of the genus Hormosira is Hormosira moniliformis Meneghini. Type locality: New Holland Mr Menzies & Mr Brown [Australia] (Turner 1807-1808: ). Type: BM-K (Womersley 1987: 342). Named for Sir Joseph Banks, 1st Baronet, GCB, PRS (1743-1820), English naturalist, botanist and patron of the natural sciences. Womersley (1987: 342) cites the following ecoforms (recognised by Clarke & Womersley 1981: 499): f. banksii Harvey 1860; f. sieberi (Bory) Harvey 1860; f. pumila Sonder 1853; f. gracilis (Kuetzing) Harvey 1860; f. billardieri (Montagne) Harvey 1860. Accesses: This record has been accessed by users 14162 times since it was created. Bergquist, P.L. (1959). 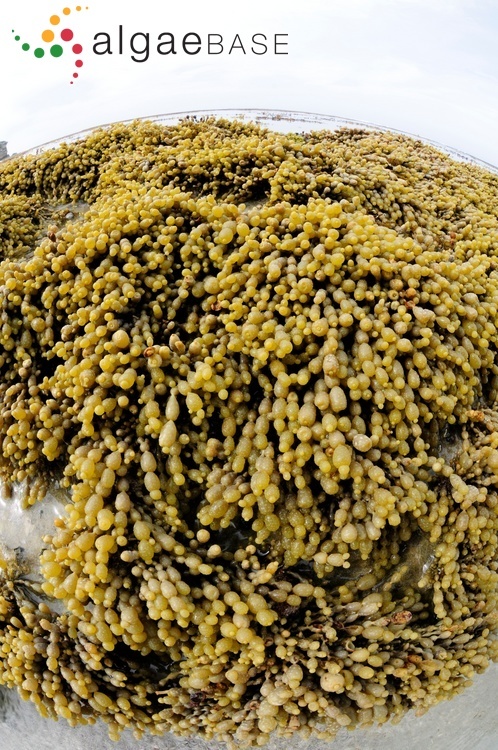 A Statistical approach to the ecology of Hormosira banksii.. Botanica Marina 1: 22-47. Clarke, S.M. & Womersley, H.B.S. (1981). 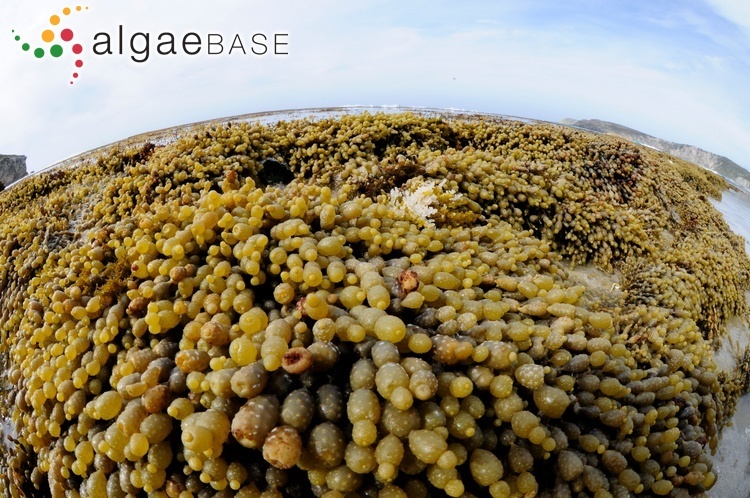 Cross-fertilization and hybrid development of forms of the brown alga Hormosira banksii (Turner) Decaisne. Australian Journal of Botany 29: 497-505. Forbes, M.A. & Hallam, N.D. (1978). 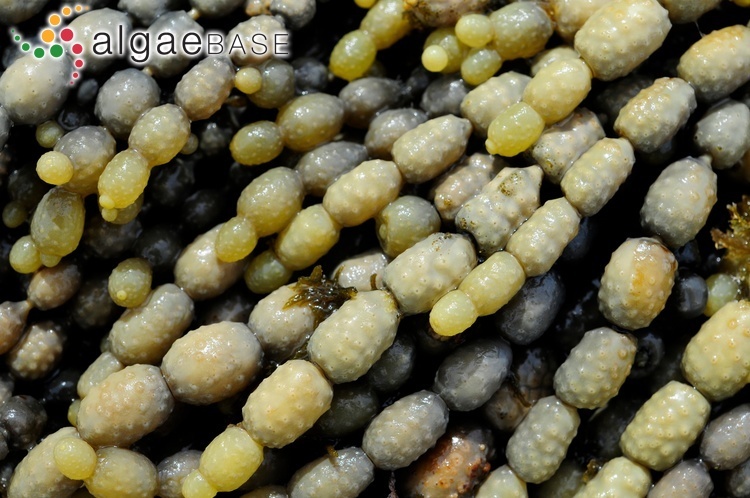 Gamete structure and fertilization in the brown alga Hormosira banksii (Turner) Decaisne. British Phycological Journal 13: 299-310. Forbes, M.A. & Hallam, N.D. (1979). 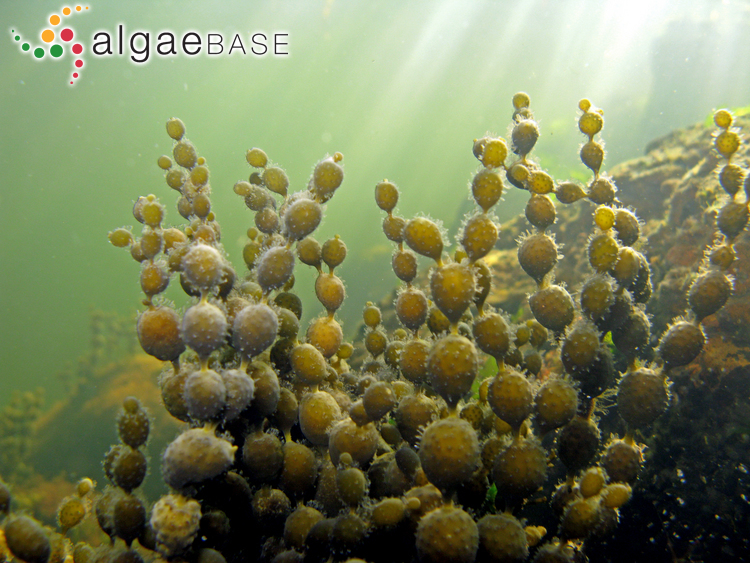 Embryogenesis and substratum adhesion in the brown alga Hormosira banksii (Turner) Decaisne. British Phycological Journal 14: 69-81. Kain (Jones), J.M. (2015). 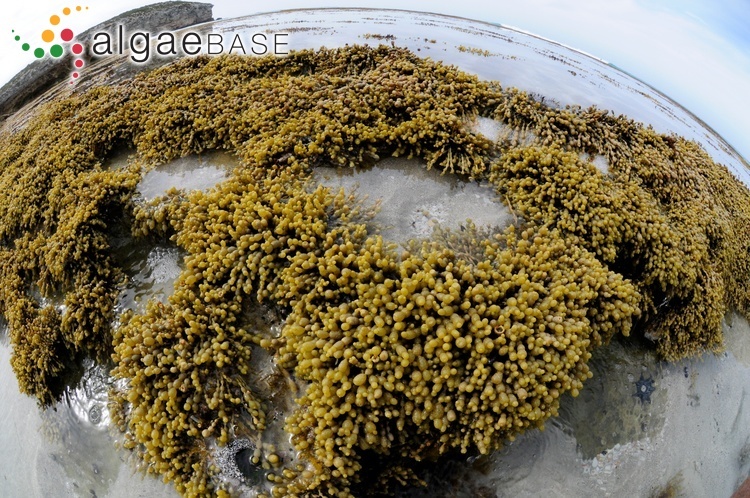 Hormosira banksii (Phaeophyceae): a tough survivor in the harsh conditions of high intertidal pools in southeast Australia. European Journal of Phycology 50(4): 408-421. Kevekordes, K. & Clayton, M.N. (2000). Development of Hormosira banksii (Phaeophyceae) embryos in selected components of secondarily-treated sewage effluent. Journal of Phycology 36: 25-32. Kevekordes, K. (2000). 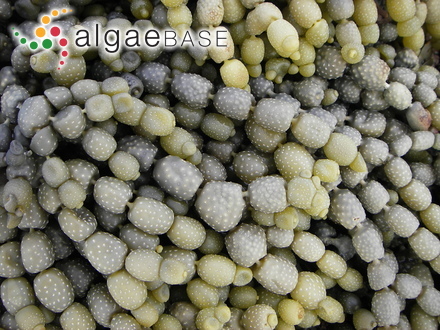 The effect of secondary-treated sewage effluent and reduced salinity on specific events in the early life stages of Hormosira banksii (Phaeophyceae). European Journal of Phycology 35: 365-372. King, R.J. (1981). 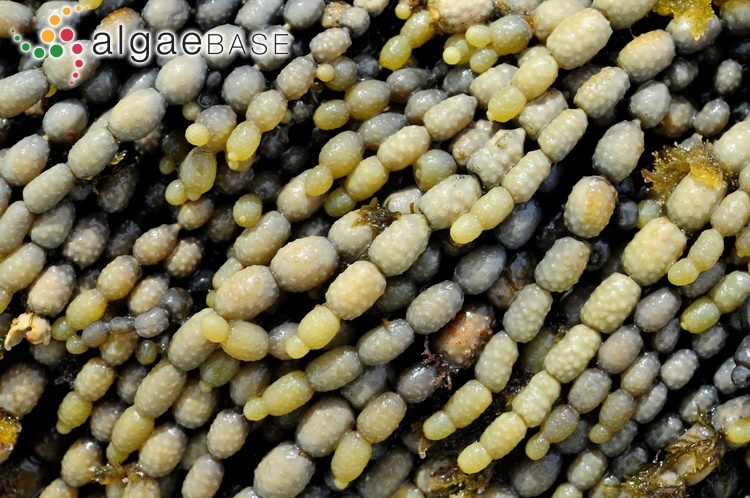 The free-living Hormosira banksii (Turner) Decaisne associated wityh mangroves in temperate eastern Australia. Botanica Marina 24: 569-576. McKenzie, P.F. & Bellgrove, A. (2008). 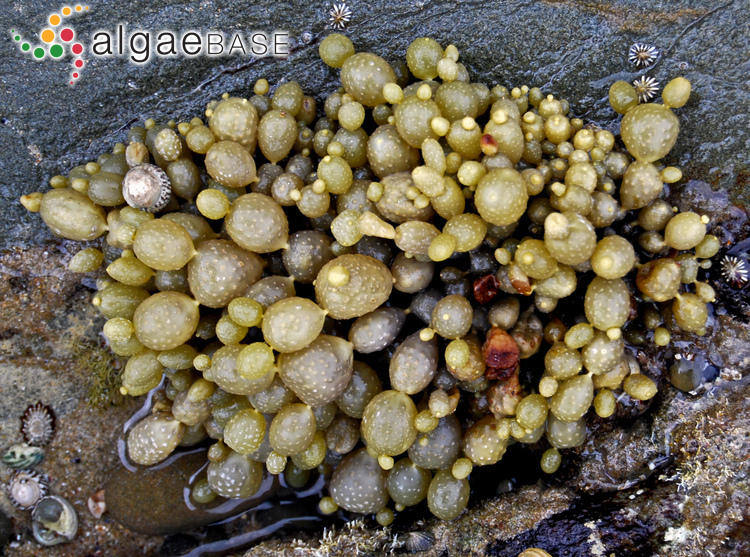 Dispersal of Hormosira banksii (Phaeophceae) via detached fragments: reproductive viability and longevity. Journal of Phycology 44: 1108-1115. Mueller, R., Wright, J.T. & Bolch, C.J.S. (2018). 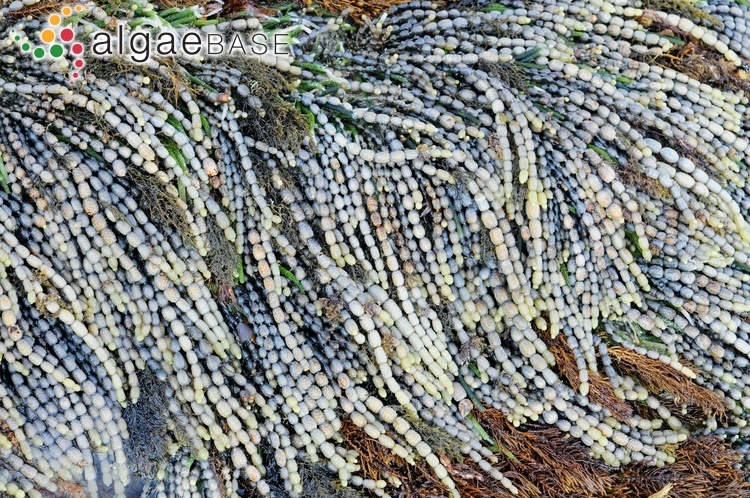 Historical demography and colonization pathways of the widespread intertidal seaweed Hormosira banksii (Phaeophyceae) in southeastern Australia . Journal of Phycology 54(1): 56-65. Schoenwaelder, M.E.A. & Clayton, M.N. (2000). 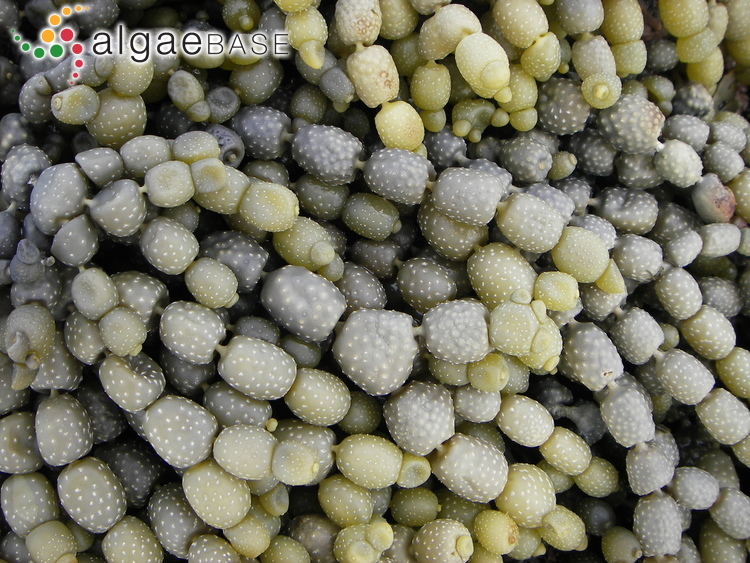 Physode formation in embryos of Phyllospora comosa and Hormosira banksii (Phaeophyceae). Phycologia 39: 1-9. Sussex, I.M. (1967). Polar growth of Hormosira banksii zygotes in shake culture. American Journal of Botany 54: 505-510.